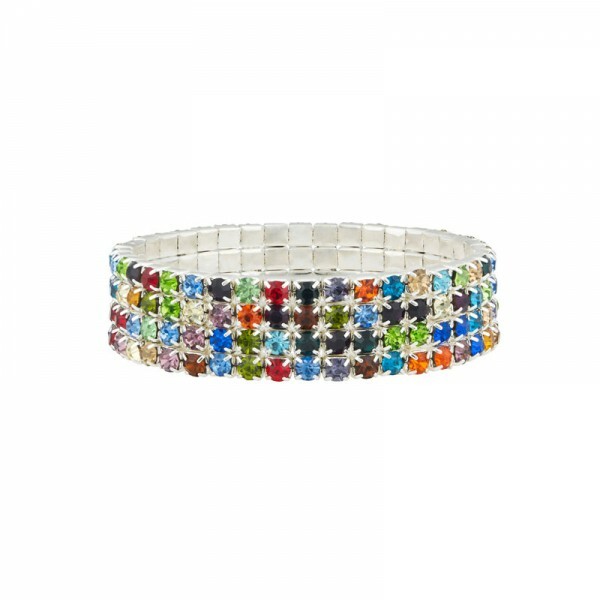 Our stunning 4 Row multi coloured tennis bracelet is sure to dazzle any outfit day or night. 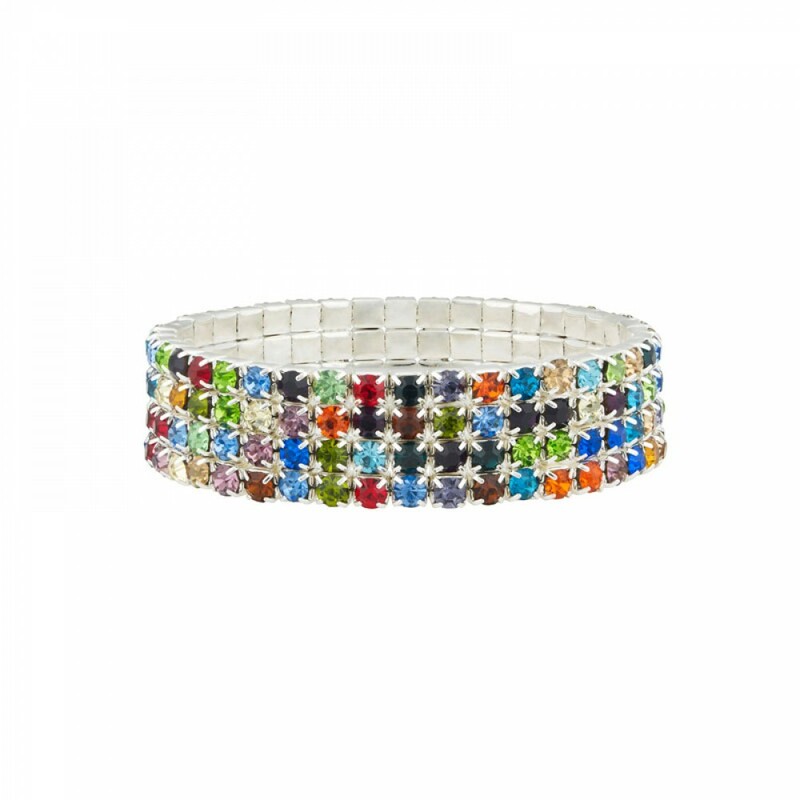 Each one of the crystals is held in place with a clasp plated with Sterling Silver. The clever stretch mechanism gives the bracelet an adjustable circumference of 17cm to 22cm. Please note colours may vary depending on availability when manufactured. Each bracelet comes in its own luxury velvet pouch.